The stalemate continues in Washington D.C. over what, if anything, should be done to lower Renewable Identification Number (RIN) prices designed to help oil refiners comply with the Renewable Fuel Standard (RFS). Late last week, Midwest Republican senators requested a meeting with President Trump as rumors continued to circulate that the administration might take action to cap RIN prices. 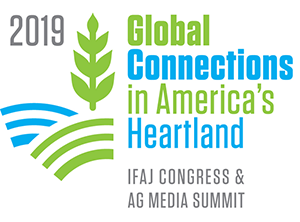 And members of the American Coalition for Ethanol (ACE) are heading to the Hill this week to discuss the issue with lawmakers, including Sen. Joni Ernst (R-IA) who will address the group on Thursday. The National Corn Growers Association has been running a major advertising campaign in the nation’s capital with the theme “Mr. President: Don’t Cap Our Future.” The effort, which has now been underway for more than a week, targets the White House, Congress, government Departments and Agencies and politically active individuals in and around Capitol Hill.